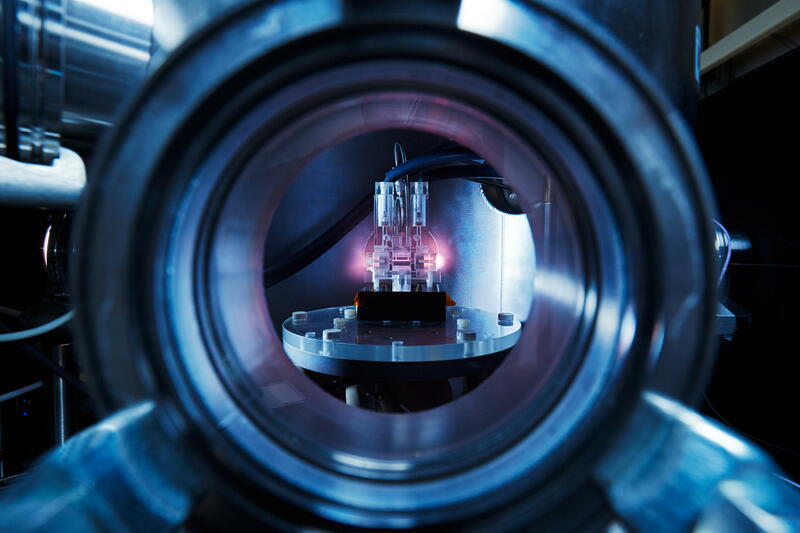 “EuPRAXIA will define the missing step towards a new generation of plasma accelerators with the potential for dramatically reduced size and cost,” said EuPRAXIA coordinator Ralph Assmann from DESY. “It will ensure that Europe is kept at the forefront of accelerator-based science and applications.” The EuPRAXIA consortium includes 16 laboratories and universities from five EU member states. In addition, it includes 18 associated partners from eight countries, involving leading institutes in the EU, Japan, China and the United States. Particle accelerators have evolved over the last 90 years into powerful and versatile machines for discoveries and applications. Today some 30,000 accelerators are operated around the world, among those some of the largest machines built by human mankind. A new technology for particle acceleration has emerged and has demonstrated accelerating fields a thousand times beyond those presently used: Plasma acceleration uses electrically charged plasmas, generated by strong lasers, instead of the usual radio frequency used in conventional accelerators, to boost particles like electrons to high energies. By the end of 2019, EuPRAXIA will produce a conceptual design report for the worldwide first five Giga-Electronvolts plasma-based accelerator with industrial beam quality and dedicated user areas. EuPRAXIA is the required intermediate step between proof-of-principle experiments and versatile ultra-compact accelerators for industry, medicine or science, e.g. at the energy frontier of particle physics as a plasma linear collider. The study will design accelerator technology, laser systems and feedbacks for improving the quality of plasma-accelerated electron beams. Two user areas will be developed for a novel free-electron laser, high-energy physics and other applications. An implementation model will be proposed, including a comparative study of possible sites in Europe, a cost estimate and a model for distributed construction but installation at one central site. As a new large research infrastructure, EuPRAXIA would place Europe at the forefront of the development of novel accelerators driven by the world’s most powerful lasers from European industry in the 2020&apos;s.
The EuPRAXIA consortium has the following participants: Centre National de la Recherche Scientifique (CNRS), Commissariat à l&apos;Énergie Atomique et aux énergies alternatives (CEA) and Synchrotron SOLEIL from France, DESY and the University of Hamburg from Germany, Istituto Nazionale di Fisica Nucleare (INFN), Consiglio Nazionale delle Ricerche (CNR), Agenzia nazionale per le nuove tecnologie, l’energia e lo sviluppo economico sostenible (ENEA) and Sapienza Universita di Roma from Italy and Instituto Superior Técnico (IST) from Portugal, Science & Technology Facilities Council (STFC), University of Manchester, University of Liverpool, University of Oxford, University of Strathclyde and Imperial College London from the UK. Associated partners are: Jiaotong University Shanghai and Tsingua University Beijing from China, Extreme Light Infrastructures - Beams (ELI-B) in Czech Republic, University of Lille in France, High Energy Accelerator Research Organization (KEK), Kansai Photon Science Institute, Japan Atomic Energy Agency, Osaka University and RIKEN Spring-8 Center from Japan, Helmholtz-Institut Jena, Helmholtz-Zentrum Dresden-Rossendorf and Ludwig-Maximillians-Universität München from Germany, Wigner Research Center of the Hungarian Academy of Science in Hungary, University of Lund in Sweden, European Organization for Nuclear Research (CERN) in Switzerland, Center for Accelerator Science and Education at Stony Brook University & Brookhaven National Laboratory (BNL), Lawrence Berkeley National Laboratory (LBNL), SLAC National Accelerator Laboratory and University of California at Los Angeles (UCLA) in the U.S.